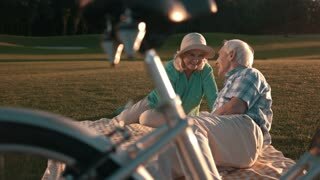 Elderly couple lying on blanket. Smiling senior man and woman. Drowning in your eyes. Didn't dream of bigger happiness.